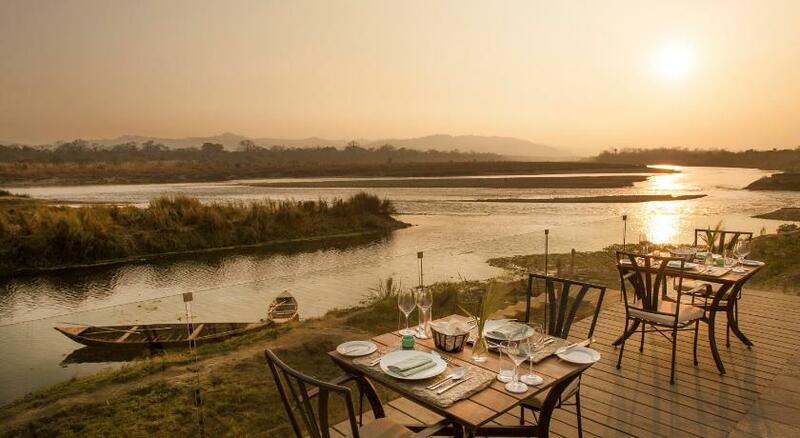 For wildlife lovers who want creature comforts alongside rhino, tiger and sloth bear sightings, Meghauli Serai, bordering Chitwan National Park, Nepal, provides pitch-perfect service— marrying hospitality from the Taj hotel group with ‘naturalists’ (park rangers) trained by South Africa’s &Beyond group. 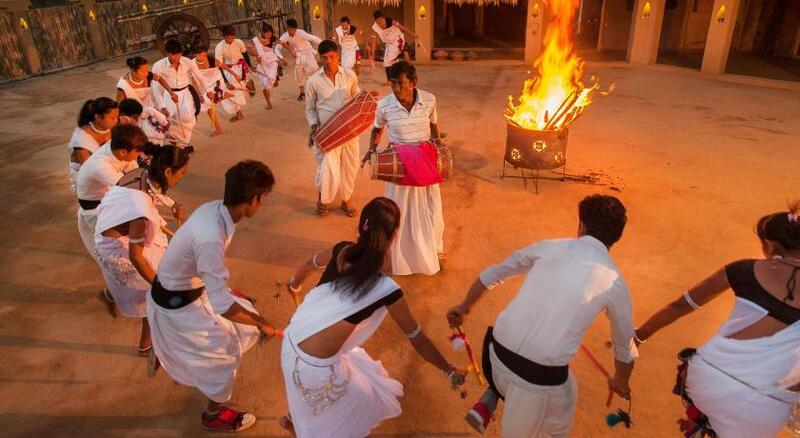 International visitors fly into Kathmandu, then take a local 30-minute flight to Bharatpur, a two-hour drive from the lodge. The lodge sends a van with refreshments for transfers from the airport. 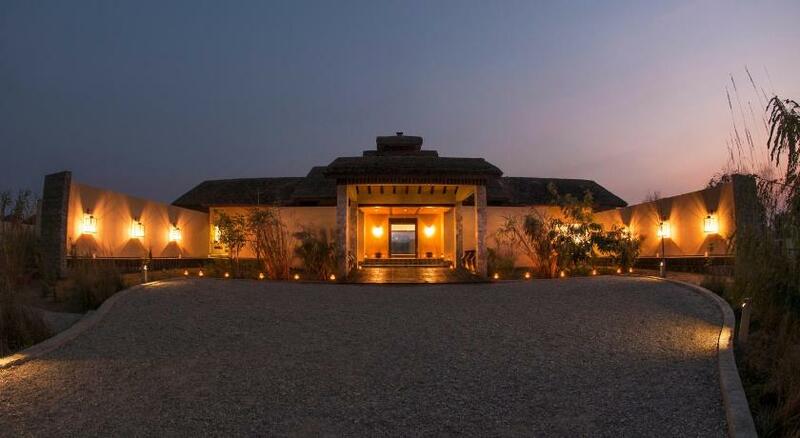 The lodge takes its design cues from local Tharu tribal homes: thatched roofs and mud walls; pebbled footpaths bordered by terracotta pots. The lobby frames an infinity pool that looks over the jungle. The library has a small collection of local books. The bar and restaurant could well be in Bali for the minimalist chic they exude: dark wood furniture, woven baskets and tribal masks. The young, local staff provide outstanding service with sincere questions about comfort and smiles that reach their eyes. The naturalists—skilled park rangers—take guests on wildlife drives. Their knowledge of birds, bees, insects and mammals is wide ranging; their passion and enthusiasm, infectious. The rhythm of the day is both relaxing and seamless: a wildlife safari at dawn and dusk with swimming, sunbathing or relaxing in between. 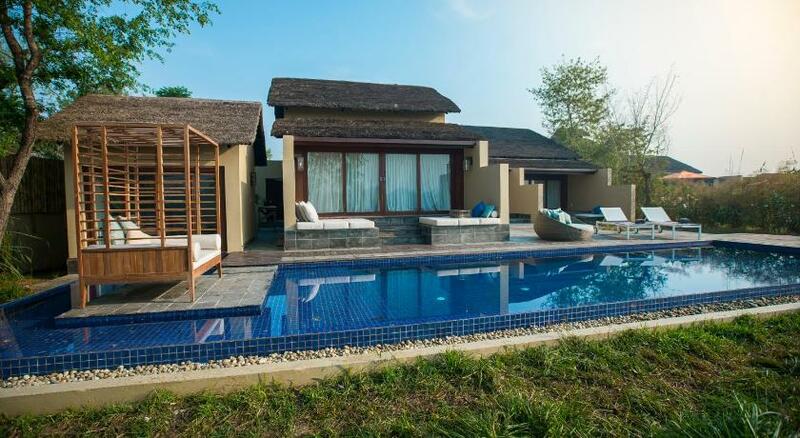 There is no spa, but the Taj’s signature Jiva spa therapies are available in rooms or massage huts. The fitness centre has all the usual accoutrements, but most guests tend to swim after the bouncing jeep rides and jungle walks. 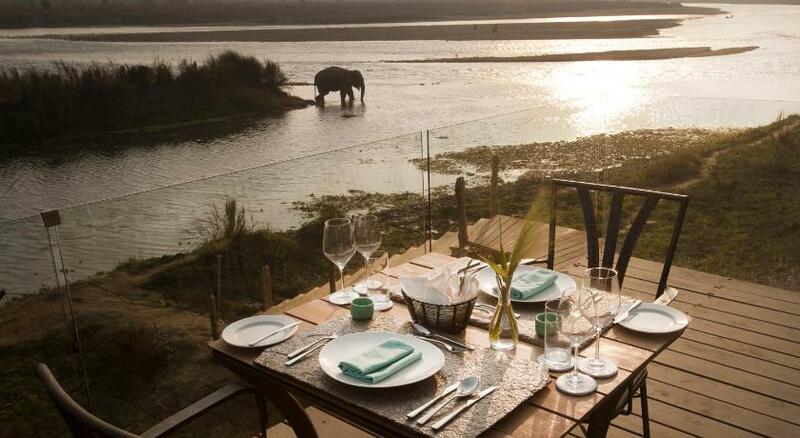 The best activity on offer is getting into the shallow Rapti river to give Anjali the elephant a bath. The mahout makes the gentle pachyderm lie on her side, while delighted guests climb atop her to get sprayed with water. 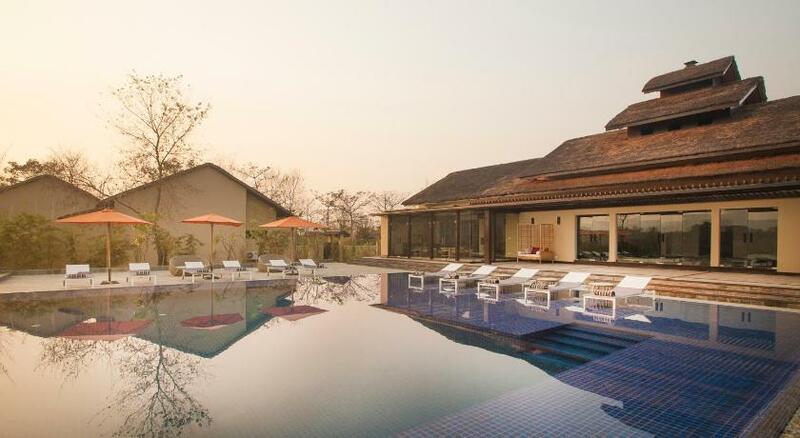 The resort makes clear that the elephant, which is owned by the mahout, is tame and humanely treated. Working with the elephants and their mahouts also aids in sustaining for their livelihood and providing care for the elephants. 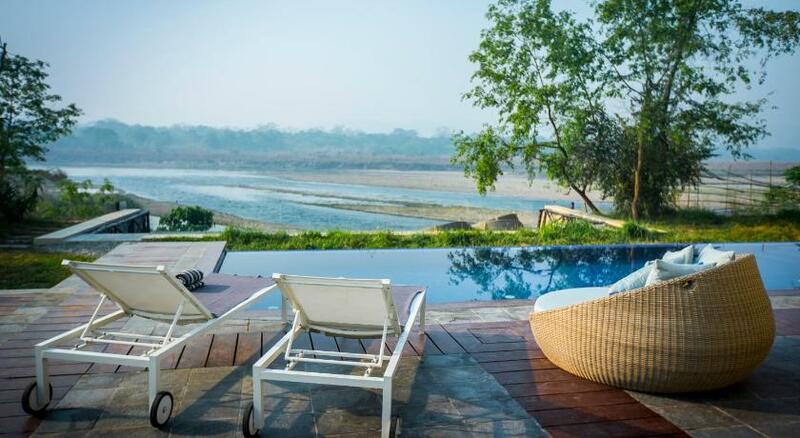 The 16 rustic villas face the rushing Rapti river and the forest beyond. 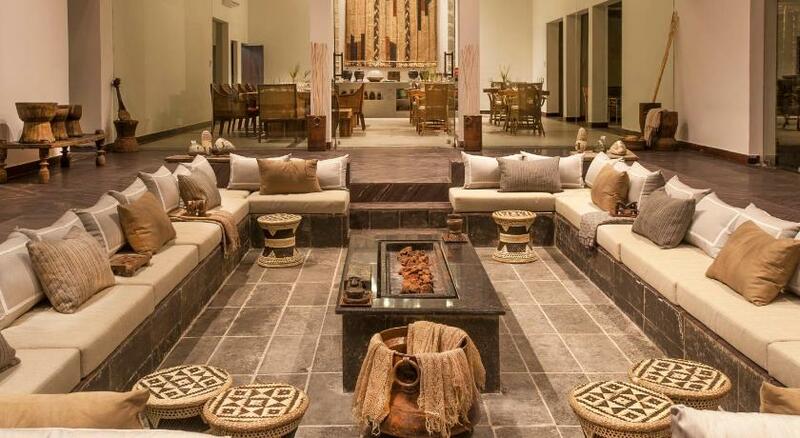 Inside, they are contemporary and warm, with pastel-hued furnishings and grass mats made by a Nepali NGO. 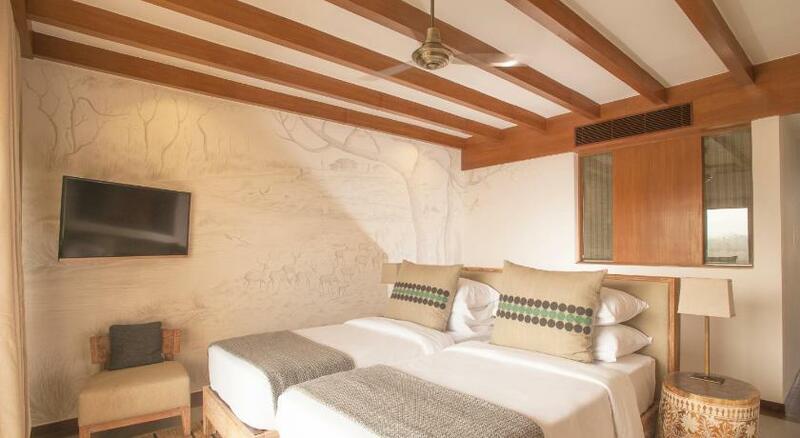 Brush paintings along one wall, created by a local lad from the Tharu tribe, gives each room its soul. 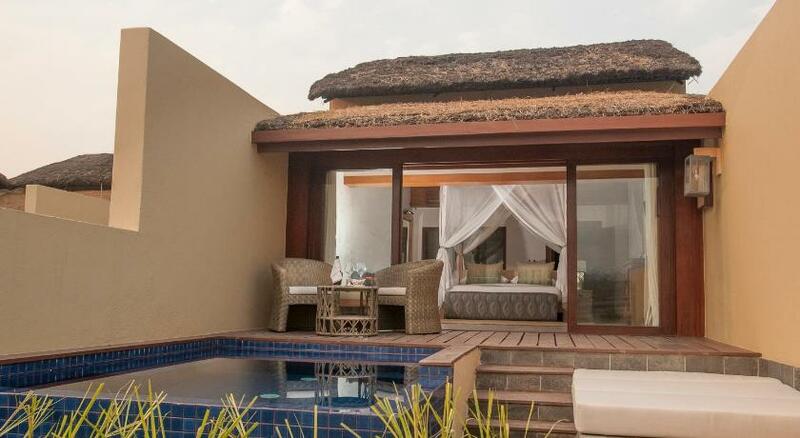 A plunge pool in the back is perfect for lounging with a drink. 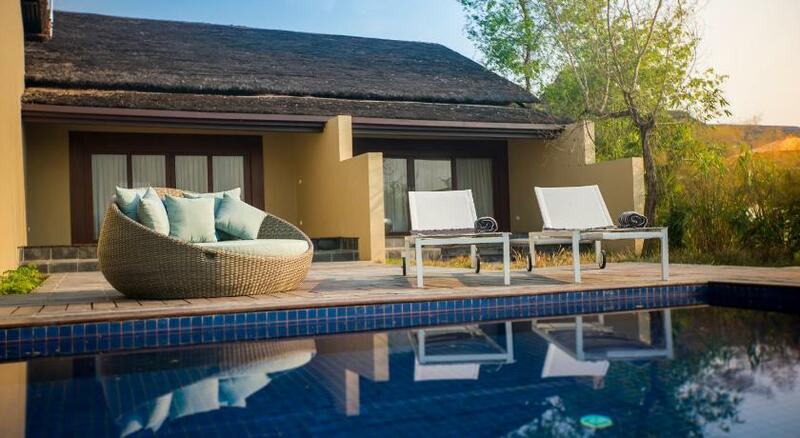 All villas include Wi-Fi and air-conditioning. 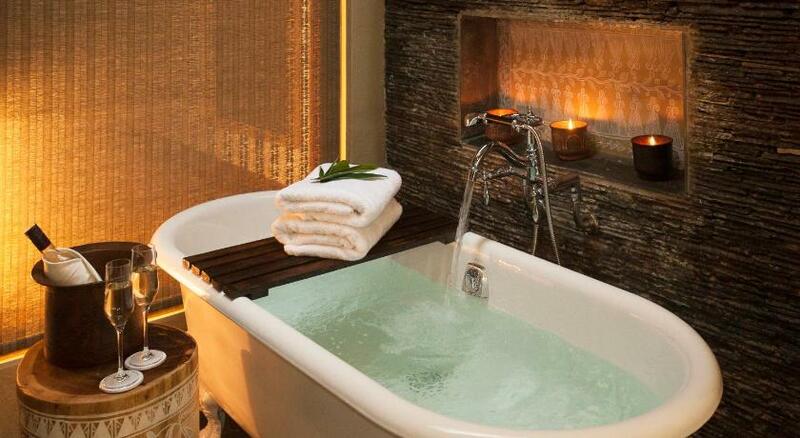 Bathrooms have a claw-footed bathtub, a large rain shower and an outdoor Nepali shower, called a dhunge-dhara. Made of stone with a large spout, the water gushes out like a waterfall. 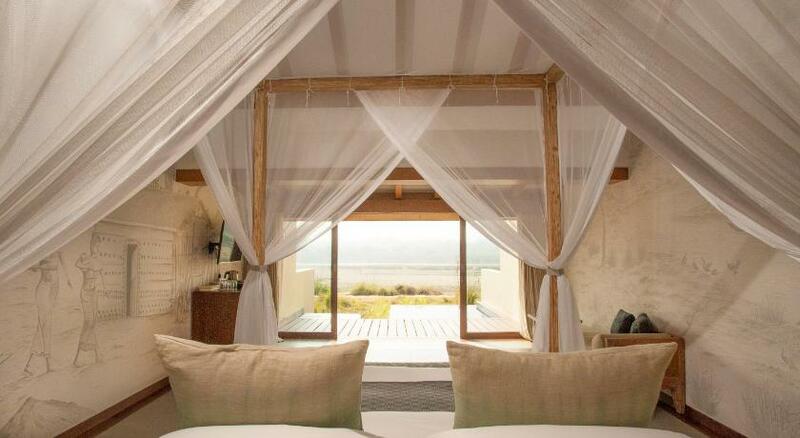 Beside the outdoor shower is a woven daybed for sunbathing in privacy. Another wing has 13 smaller rooms overlooking a small body of water. If you can, go for a villa. 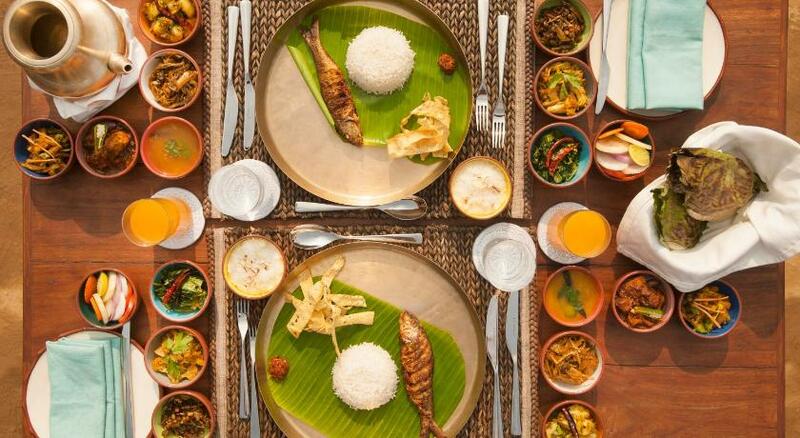 Dinner includes inventive Nepali fare such as nettle soup and a stew made with over 70 types of local lentils. 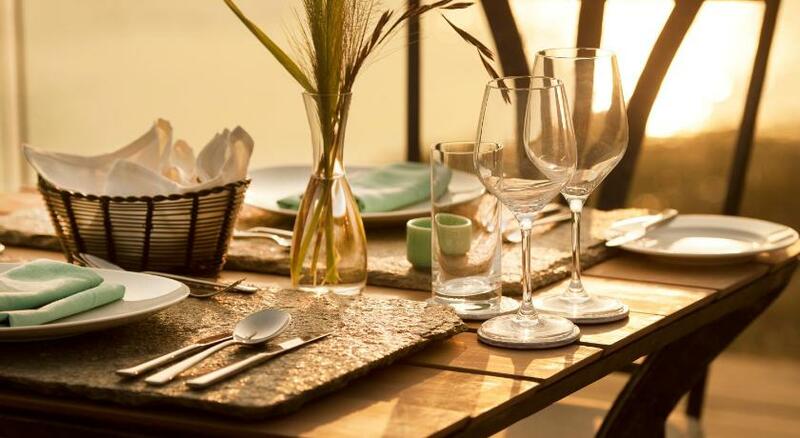 Served on a stone plate, the robust grilled meats and organic vegetables from the garden are delicious. Most diners opt to eat under the stars in the balmy weather. Romantic candlelit dinners can be served on a deck right next to the river. Lunch is typically continental with sandwiches, pastas and French fries. The pre-game-drive dawn breakfast includes oatmeal served with optional Grand Marnier or Bailey’s Irish Cream. 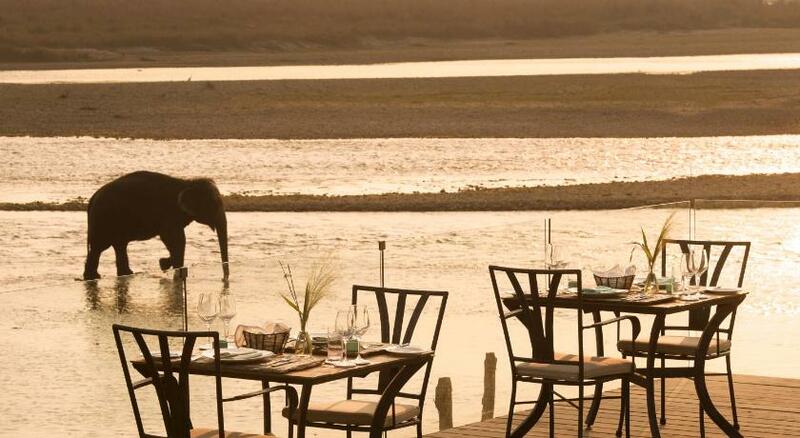 For those who skip the game drive, breakfast at a more civilised hour comes with eggs, pancakes, and Indian or Nepali dishes. 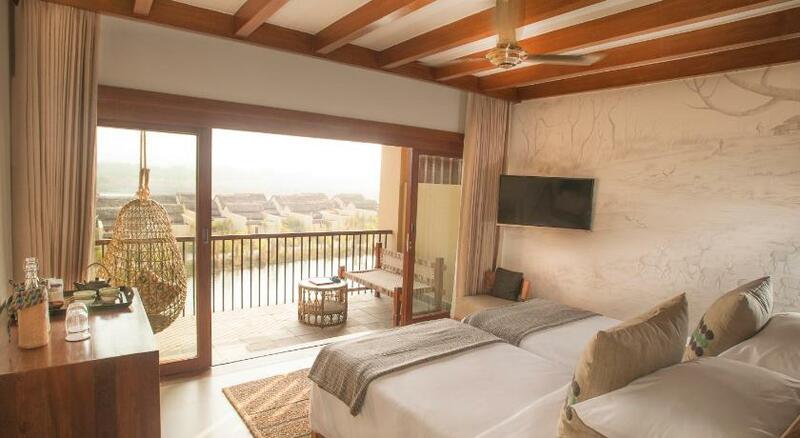 Rooms start from €164 (£141); private Rapti villas from €230 (£195). 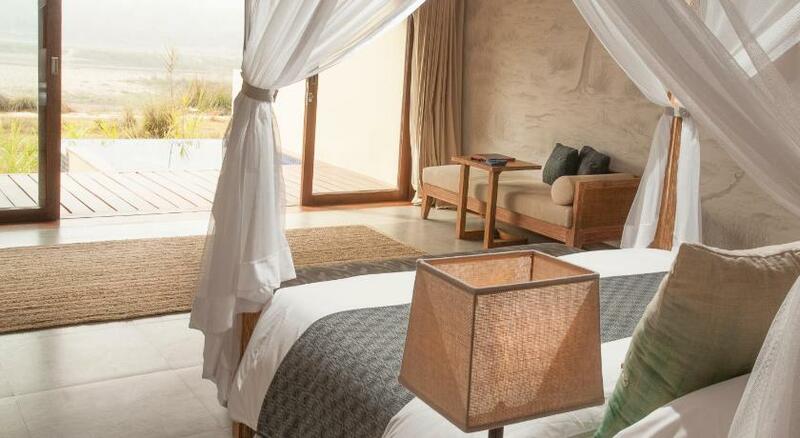 All-inclusive basis including meals, liquor and two game drives. Prices likely double during the high season. Free Wi-Fi. Although there is no kid’s club, the friendly staff offer customised food for children, and the rangers are patient and generous with incessant questions about rhino eating habits or tiger pawprints. Children’s cots are provided on request for a nominal charge. 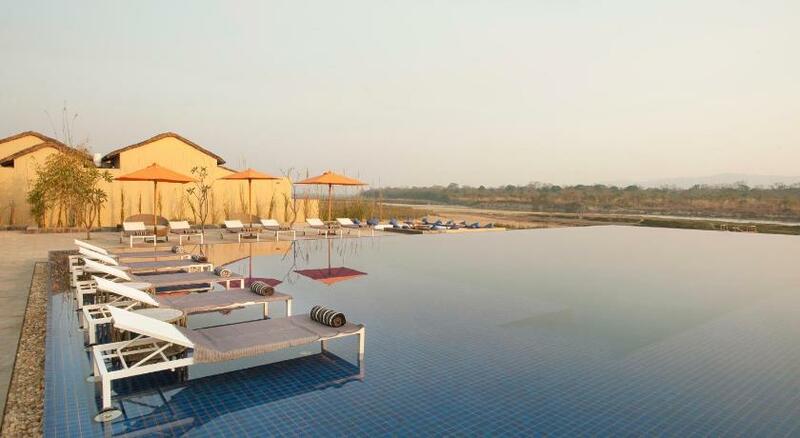 Meghauli, Ward no 1, Narayani Nager Palika, Chitwan National Park – 44207, Nepal.